A portrait of Martin Luther by Lucas Cranach the Elder. The Smalcald Articles were written near the end of 1536 by Martin Luther and submitted to the Smalcald League for adoption early in 1537. They were written as a summary of Lutheran doctrine in preparation for the long-awaited general council of the church. Only when sterner measures failed to dispose of the religious controversy sweeping Germany, Pope Paul III conceded to the emperor’s pressure and called a general council to meet at Mantua, May 8, 1537. It soon became clear that the purpose of the council was not to discuss and arbitrate questions of doctrine and practise, but to utterly extirpate the “poisonous, pestilential Lutheran heresy.” So there were initial reservations expressed about whether the Lutherans should receive and hear the papal legate delivering the invitation. Luther, however, continued voicing his strong desire for such a council to convene. He expressed the need for a clear confession of faith so those still held captive could be equipped to distinguish between error and truth. 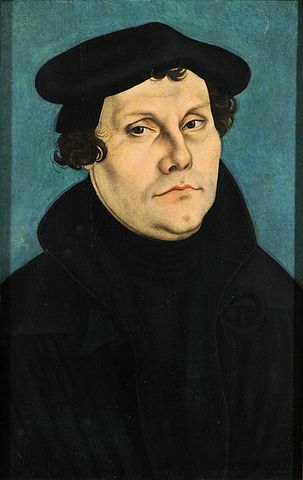 Imbued by Luther’s spirit, the elector of Saxony, John Frederick, instructed Luther in a letter of December 11, 1536, to prepare a statement indicating the articles of faith in which concessions might be made for the sake of peace, and the articles in which no concessions could be made. By December 28, 1536, Luther submitted a draft copy to his colleagues in Wittenberg for further review. The first eight signatures were affixed at that time, Philip Melanchthon’s with the reservation that the Pope may continue to hold supreme authority over the church given to him by human right if he would accept the Gospel. Seeking wide-ranging consensus, the elector presented the articles to the Smalcald League on February 8, 1537. The league had been formed in 1531 for mutual protection by five princes and eleven cities. It was renewed in 1536 for the following ten years. The hope that the league would endorse Luther’s articles was, however, never realised. This was partly because Luther’s continued illness prevented him from attending and partly because Melanchthon argued that the articles would precipitate doctrinal dispute among the league members. Despite not being officially read at the league, the articles were nevertheless subscribed voluntarily at Smalcald (with the exception of the South Germans), and subsequently became known as the Smalcald Articles. In later years the articles were looked upon with growing favour as a witness to genuine Lutheranism, giving expression to the heart of Martin Luther, and as such were incorporated in the Book of Concord. The Smalcald Articles are grouped in three parts: Part I treats the sublime articles of the divine majesty, the Father, the Son, and the Holy Spirit. This part is short as it refers to teachings where there are no matters of dispute or contention. Part II discusses the articles referring to the office and work of Jesus Christ, or our redemption. This part contains the chief and principal teachings of Lutheranism on which no concessions can be made. The first of four articles, Christ and Faith, proclaims salvation by grace through faith alone, as a free gift from God. It is hailed as the central article on which everything “we teach and practise” rests. The other three articles address Mass, Chapters and Monasteries, and The Papacy, condemning unequivocally all man-made traditions as necessary works to merit God’s grace. Part III deals with fifteen articles on which the Lutherans might make concessions. Strikingly, these do not address trivial matters, but issues such as sin, the law, repentance, the Gospel, Baptism, the Sacrament of the Altar, the Keys, confession and others. Concessions are, however, only possible when discussed with “learned and sensible men, or even among ourselves,” based on the careful exposition of Scripture. For Lutherans The Smalcald Articles are as relevant today as in the 16th century. Furthermore, they are a classic example of what it means to confess Lutheran self-understanding. Confessing what one has perceived to be the truth, should be done boldly and unambiguously as Luther did. Central to Lutheran self-understanding and Christian faith is the article of Justification (Christ and Faith), where no concession can be made. But notably in all other aspects of teaching, including sin and the Sacraments, Luther remains remarkably open and conciliatory to those who are prepared to engage on the basis of Scripture. Lutherans confess boldly, but also humbly, continually striving towards confessional agreement and unity within the Church of Christ. Such clear confession is not terminated in the light of adversity, but is spoken for the sake of future generations. You can read an older translation of the Smalcald Articles online here for free. For an up to date translation that’s easy to read, check out The Book of Concord – A Reader’s Edition from Concordia Publishing House.